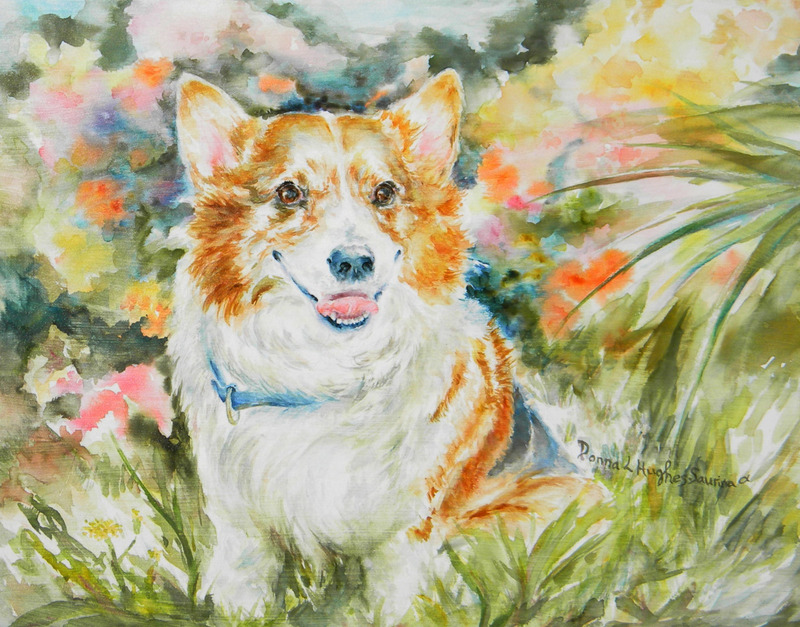 This colorful work in watercolor on gesso-prepared board is a tribute to a feisty, little Corgi. She was full of attitude but had a winning smile and is much missed. In working on this piece I loved the way her tongue flared out reflecting the brilliant pinks of the the flowers behind her. The garden was done in an impressionistic almost abstract pattern designed to bring out the wonderful contrasting colors of her coat. 5" x 6.5"6" x 7.75"7" x 9"8" x 10.25"9" x 11.5"12.5" x 15.75"